A computerised tomography scan (CT scan) is one type of imaging test – a test that uses special equipment to create one or more pictures of part of the inside of the body. This topic gives general information. The way the CT scans are performed will vary between different hospitals. A computerised tomography scan (CT scan) is a special kind of X-ray test. X-rays pass through fluid (liquid) and soft tissues, but are blocked by more dense – or more solid – structures such as bones. A CT scan uses several X-rays, which are sent at different angles at the same time. These images can build up a detailed picture of parts of the inside of your child’s body, including bones, organs and liquids. A CT scanner is a large, round machine with a tunnel. Your child will lie on a bed that goes into the tunnel. 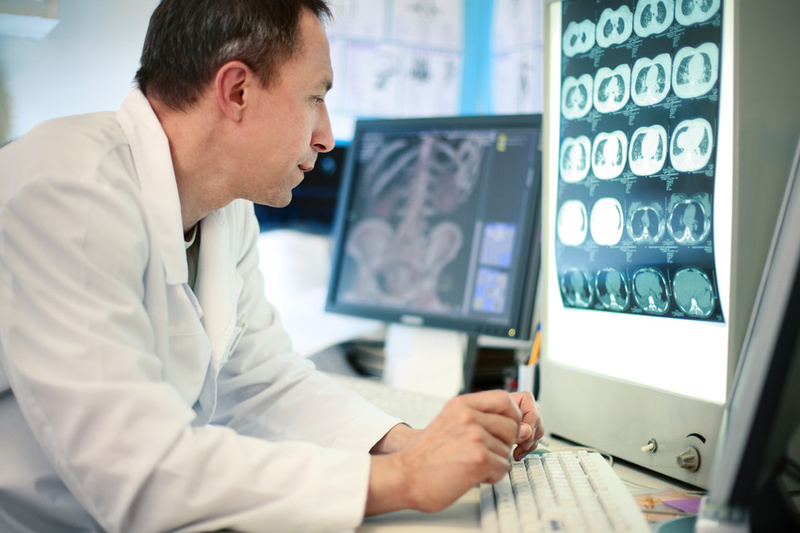 A CT scan may be necessary when more information is needed to make a diagnosis. Your child may already have had either an X-ray test or an ultrasound scan, but these may not have provided enough detail. We are all exposed to ionising radiation – in our homes and workplaces (it is in some construction materials and it seeps from the ground into buildings), when we eat certain foods, and when we take a flight. However, this is at very low levels and therefore does not cause us harm. CT scans give the same amount of radiation (dose) that we would be exposed to in between 9 months and 3 years. However, your doctor will not use a CT scan unless he or she is certain that the benefits outweigh the risks. Some children find it uncomfortable to be inside the scanner. The machine also makes a whirring sound. If your child is worried, speak with your doctor. Your child may be able to meet with a play specialist, who can use dolls and other toys to help him or her prepare for the test. You may be able to stay with your child during the test, but you will need to wear a lead apron to help minimise your exposure to radiation. Older girls may be asked if they are having their periods and about the dates of their last menstrual period. They may also be asked if they are pregnant or if they could be pregnant. This is because ionising radiation from CT scans may harm an unborn baby. The CT scan normally takes place in the X-ray department of your hospital. A radiographer, a specialist trained in imaging tests, performs the test. The radiographer will let you know if your child needs to remove any metal objects, such as a watch. If a contrast dye is used, this is is injected into a blood vessel, using a needle or a small plastic tube called a cannula. This is usually in the hand, arm or foot. Your child may feel a sharp scratch from the needle. A local anaesthetic, a spray or cream, can be put on your child’s skin before inserting the needle or cannula, to make the area feel numb. (see note below*). Your child may feel a flushing or warm feeling, and a metal taste in his or her mouth when the contrast dye is injected. This feeling usually goes away quickly. Your child lies on the bed. The bed moves slowly into the tunnel, and back and forward. Your child needs to lie still while the scanner directs X-rays into his or her body at different angles. The radiographer can talk with your child during the scan. The scan does not hurt, and takes only a few minutes. *Use of contrast dye in children with low kidney function is normally avoided. The radiographer performing the test will send a report to your doctor. Speak with your doctor about when you should expect the results.